Aside from being visually appealing, our websites work. Most of our sites are paired with our own content management system called "The Kitchen" which we customize and design for each client. A large part of being a premium web design company is having a strong design team and although it's not our primary focus, we create for our clients visually appealing printed marketing solutions and logos. Check out some of our previous projects below. Your company logo is, in many ways, your company's face. 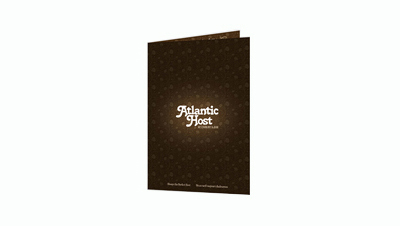 It represents your company on all of your materials, right down to your YellowPages ad. For that reason, it's a very important piece of your marketing and should never be taken lightly. 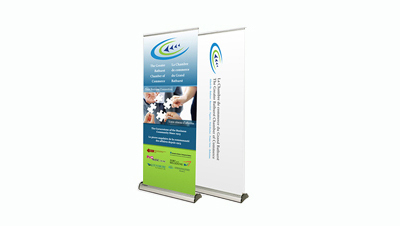 We have created many logos, from industrial to non-profits, we always start at the same point. We learn about your company and your industry and we go from there. We have a great understanding of typesetting and color theory, two items that are the key to a strong logo. From Kit Folders to Brochures, Booklets to Posters, Illustrations to Packaging, we are very gifted designers of striking print materials. 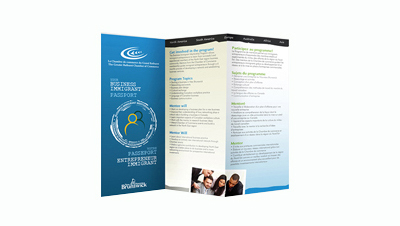 Sometimes you need to have some print material, either for a tradeshow or to leave with a potential client. 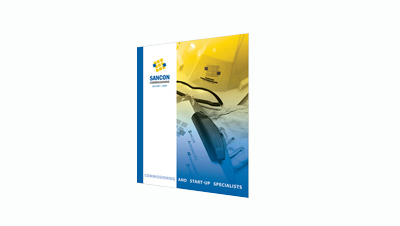 Contendo required just that, so we designed a brochure showcasing their training system. A large part of being a premium web design company is having a strong design team. 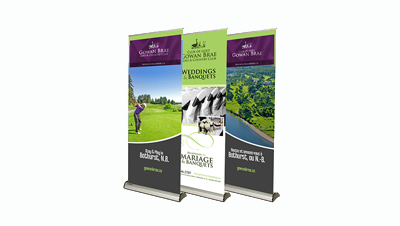 Although it's not our primary focus, we are able to create catchy, visually appealing marketing solutions for our clients. 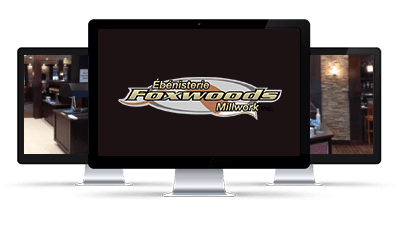 Foxwoods required a new website to showcase the beautiful work they do for commercial spaces. 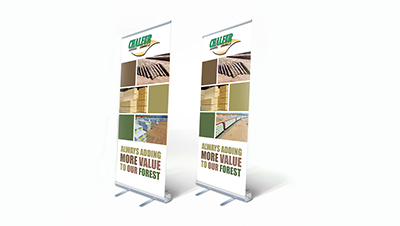 We took the time to create a visually appealing website displaying large images of previous projects. 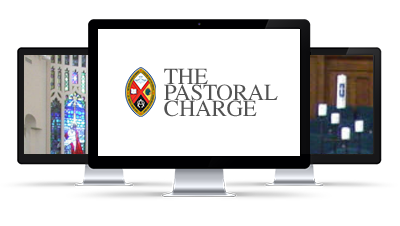 The First United Church in Bathurst required a new website to communicate upcoming events, news and bulletins to the community. Websolutions created a custom CMS to manage all of the content on the website and a responsive website. The historic Mi’gmaq hiking trail is a 140 km single track hiking trail that follows the mighty Nepisiguit River from mountains to sea (from Mount Carleton Park in central New Brunswick to Daly Point Nature Reserve in Bathurst). 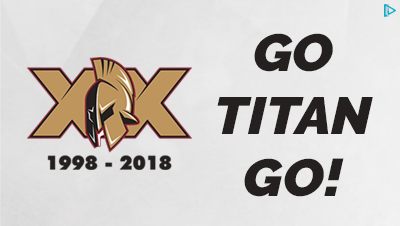 We are proud to have the opportunity to design a logo for the 20th season of the Acadie-Bathurst Titan. Keeping the design simple and clean. Go Titan Go!! 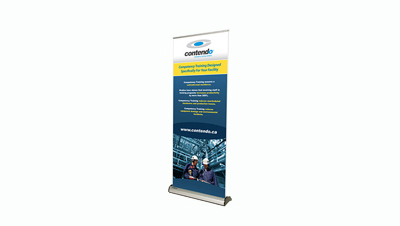 CanGlide produces a state-of-the-art product that should become the norm in conveyor belt technology. 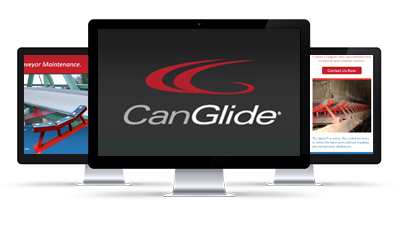 A single-product company, the CanGlide website serves as an informative site for their product, The Slidler. 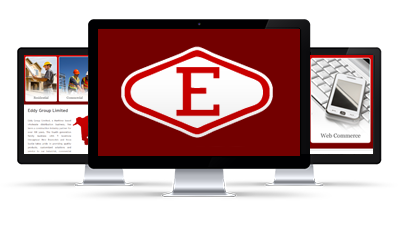 The website includes photos, product information, installations, testimonials, company history as well as numerous calls to action. The website also includes an embedded product video on all pages of the site. A large part of being a premium web design company is having a strong design team. 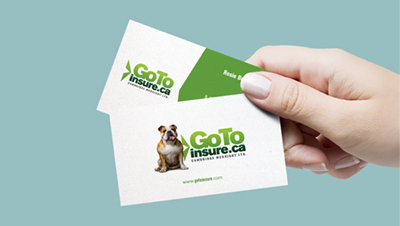 Although it's not our primary focus, we are able to create catchy, visually appealing marketing solutions for our clients. 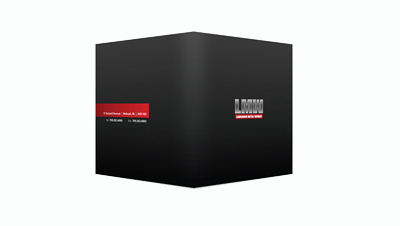 From Kit Folders to Brochures, Booklets to Posters, Illustrations to Packaging, we are very gifted designers of striking print materials. 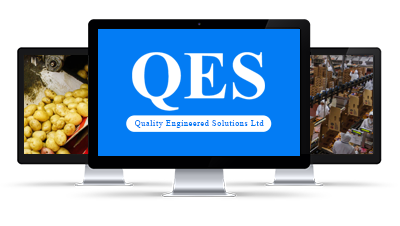 QES (Quality Engineering Solutions) is an engineering firm located in Fredericton, New Brunswick. It was great working with their team! 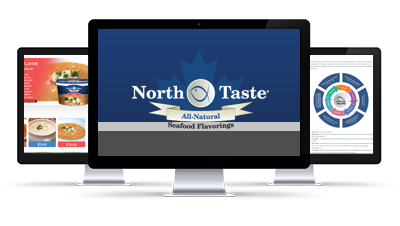 As part of a complete corporate re-branding, Websolutions.ca created a comprehensive website for NorthTaste All-Natural Seafood Flavorings. 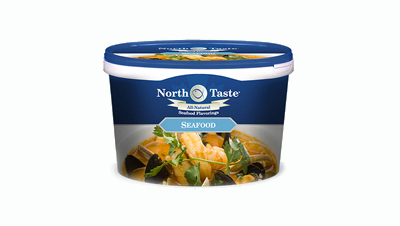 The website contains complete details on their many seafood products including recipes, suggested uses, and quality certifications. We also created their logo along with designing packaging for their products. Serving Northern New Brunswick since 1990, Clovis Vacuum Truck Services has the equipment and expertise to clean and maintain your system. With a fleet of vacuum trucks, line flushing trucks and a mobile pressure wash, we have tools to help fix your problem. This website is very simple but it gets the job done. 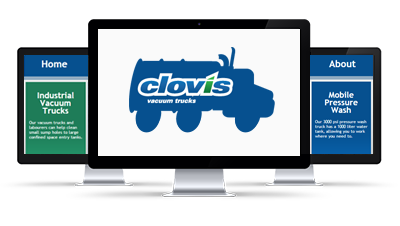 It includes details on Clovis Vacuum Truck's services, information for home owners and of course, information about the company. Attest located in downtown Toronto asked Websolutions.ca to create a clean, professional website to showcase their creativity and marketing solutions. So that is what we did! 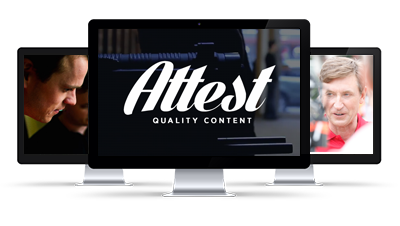 We kept this website simple, highlighting the awesome videos created by Attest for some very high profile companies. This was a pretty simple site to create, it is a one pager but it provides all of the information required for the officials of the region. Administration of website can modify all of the content on the site. A simply yet robust management system is used to keep everyone informed. Thank you to all of the officials that put in time. 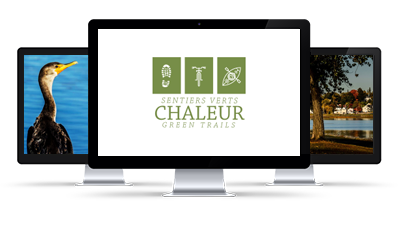 Chaleur Green Trails is a non-profit organization aiming to build and maintain non-motorised trails and infrastructures in the Chaleur region. It also promotes their usage by the residents and tourists. Social media is always changing, and there are so many different social media sites. From Facebook, LinkedIn, Google+, YouTube and Pinterest, the list goes on and on. 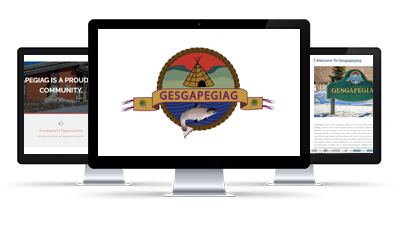 Gesgapegiag is one of three Mi’gmaq communities on the south shore of the Gaspésie. Council wanted to update their website to better communicate with the citizens and visitors to the area. We created a custom website showcasing the community, and also created a custom CMS using "The Kitchen" to manage all content. 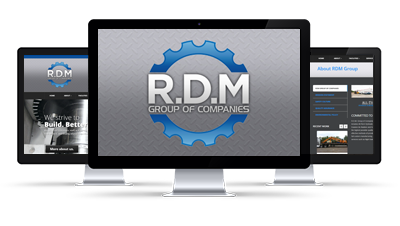 Responsive Web Design & Custom CMS. 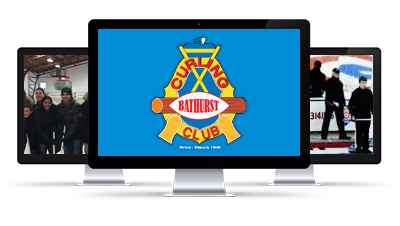 We are huge supporters of the Bathurst Curling Club. For that reason, we have taken them on as one of our pro bono clients. We like the fact that they give back to the community in the form of offering a venue for live entertainment and activities. We also like curling and think it's neat to have our logo on an ice surface. Basketball is an awesome sport, so of course we had to support this revitalized organization. 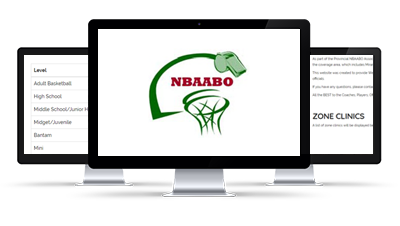 Players, parents and coaches use the website to communicate upcoming events and practices. The design of the site is fun and clean. 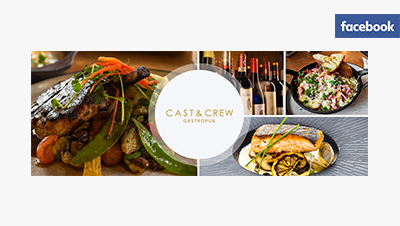 With a custom CMS based on "The Kitchen" to manage all of the content. Have a great season. The Nepisiguit Snowmobile Club is located just south of Bathurst in the community of Nepisiguit Falls overlooking the Nepisiguit River. The club required a new website to provide trail conditions and other information to snowmobilers. The new website is very easy to use and with the custom CMS we designed, they can keep the website up-to-date easily. The Port of Belledune required a micro-site to highlight the options available to ship from the port to locations in the Arctic. 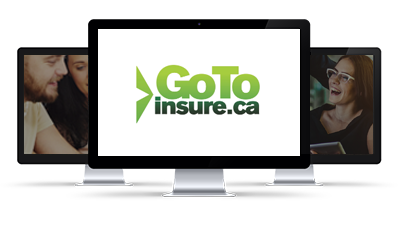 We designed a simple yet effective website showing the routes available from the Port of Belledune to locations in the north. 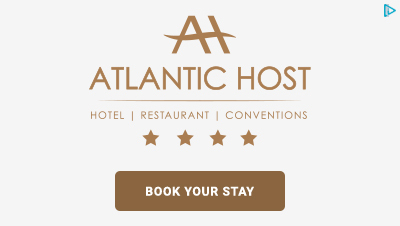 Known for their policy of continuous improvement, the Atlantic Host Hotel has stayed true to that policy with their website. Having revised the website numerous times since its creation, the Host is always looking for new ways to improve the experience of their guests. 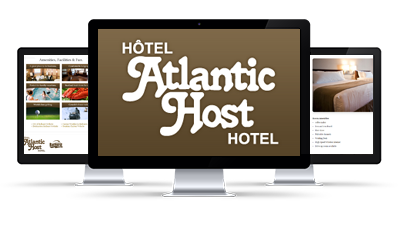 The website includes an online reservation system, specials & packages, detailed information about their accommodations and more. MMAXOUT offers a wide range of fitness and training programs for multiple age groups and abilities. They are located in Beresford, New Brunswick, with an amazing facility. If you are looking for a good workout, this is the place to go. 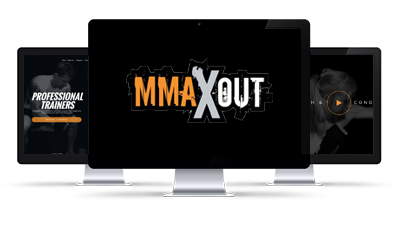 We created MMAXOUT a clean responsive website, and also created a logo for Drekon Martial Arts, a sister company of MMAXOUT. With great imagery and an easy to navigate website, visitors to the site will want to workout! The goal of Focus Innovation is to accelerate growth of technology knowledge in New-Brunswick. Therefore we could further our understanding of it. 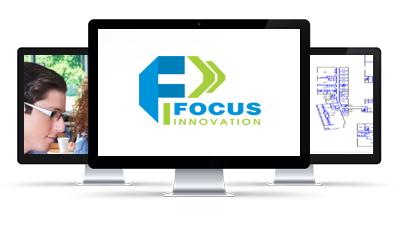 Focus Innovation involves entrepreneurs, CCNB, and high schools. 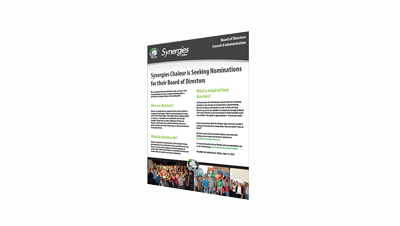 websolutions.ca created a simple bilingual page to showcase the organization and the projects that the students have created. 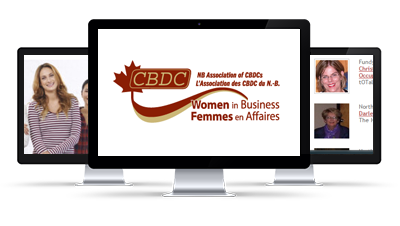 The Women in Business NB network has been one of our clients for many years. We have created many website versions for the network, helping them to communicate with entrepreneurs from throughout the province. 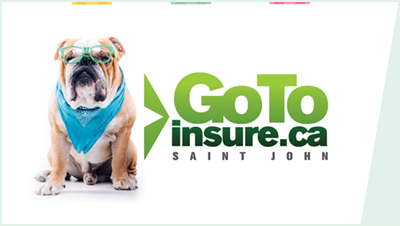 This website has many success stories, Hints & Tips, along with contact information for locations within New Brunswick. 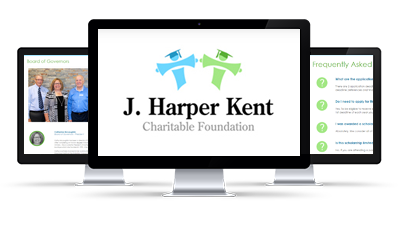 Websolutions.ca is proud to have now created a few websites for the J. Harper Kent Charitable Foundation. Such a great organization that helps students further their education. Since the foundation was established in 1976, it has awarded more than four million dollars to students from the region. The value of the scholarships have increased in value to echo Mr. Kent’s strong dedication to education, as well as to address rising costs of tuition. Full tuition is awarded to successful recipients. The scholarships are unique in that the foundation takes a very holistic approach in awarding them, looking at not only academic achievement and financial need, but also community involvement and future aspirations. 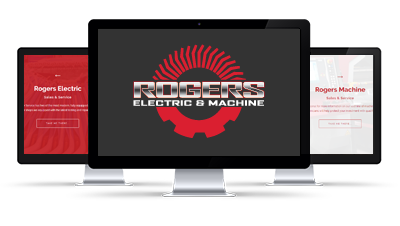 Established since 1985 Microage Bathurst has been servicing small and medium businesses of Northern New Brunswick offering the latest in information technology solutions and services. 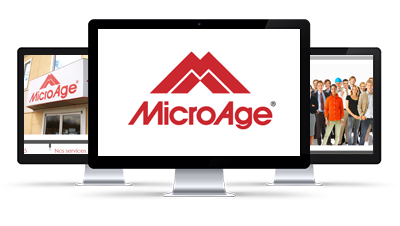 Microage Bathurst is another one of our long-time clients. Their website includes everything you need to know to come to the conclusion that these guys are the best computer tech company in Northern New Brunswick! Facebook has around 1.65 billion active monthly users. Websolutions can help you create and manage your social media pages, allowing you to operate your business. From creating the elements you need for each social media site, and managing campaigns to promote your business. 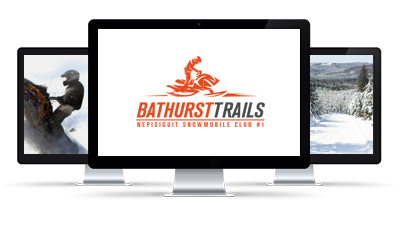 The City of Bathurst website is a great example of what we are capable of creating. Before even one line of code was written, we thoroughly researched hundreds of municipal websites, taking note of what we liked and what we disliked about them. 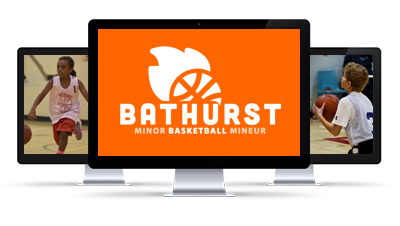 This led us in the direction for the design of the City of Bathurst website. 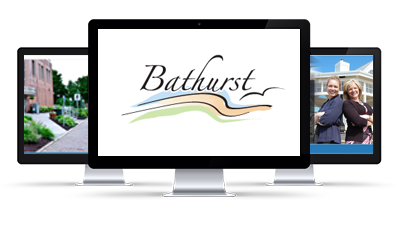 Clean, professional and easy to navigate, the City of Bathurst website is as good as any city website in North America. The site’s most impressive feature is the amount of administrators who manage this site on a daily basis using our content management system, wsCMS. Each department has website management access and they are only able edit their own sections of the website. This ensures that the website is constantly being updated and the management responsibilities are shared amongst the City’s staff. 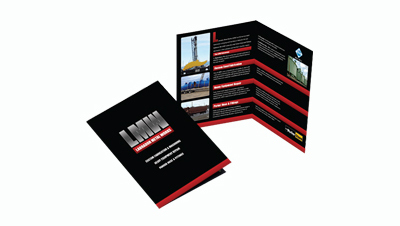 Since 1990, Impression Printing has been the best print shop in Bathurst. They work hard to make their clients look good; something we understand very well. Aside from printing, they're also experts in promotional items, trophies, and more. 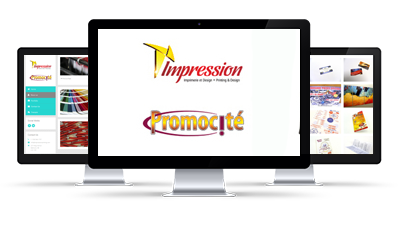 We created a fairly simple yet effective solution for Impression and Promocite. The site is fully responsive and is designed to be portfolio-focused. 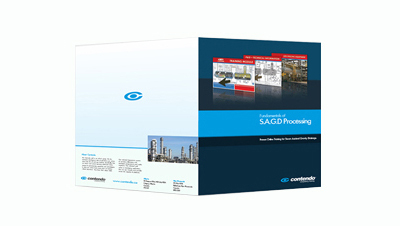 Impression Printing prints everything we require! 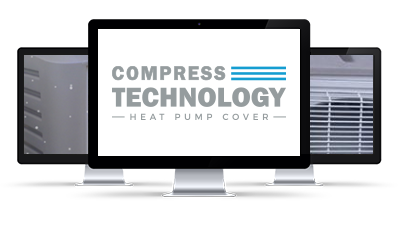 Compress Technology was started in 2013 by 3 partners who simply wanted to create the best mini-split heat pump cover available on the market. 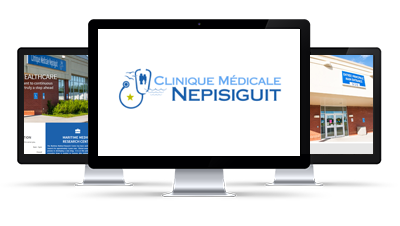 The Clinique Médicale Nepisiguit was founded in 1998. With many doctors practicing out of the clinic, a website was required to provide information to the patients. The website is fully responsive and multiple contact forms created allowing for patients to email administration. It had been a few years since we created the first website for Johnson Moving & Storage. Management decided it was time to create a new responsive website for Johnson Moving & Storage. The website we created for Johnson is perfect for the moving industry, it provides all of the information a visitor would need. But also displays the content in a clean and professional manner. We are very happy with the responsive website created for Johnson Moving & Storage. 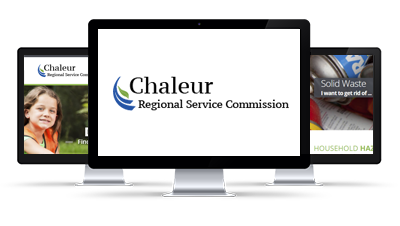 The Chaleur Regional Service Commission assumed responsiblity of various services throughout the Chaleur region in January of 2013. With various departments providing services, the commission required a website that provided a great user experience and an easy to manage website for the staff. 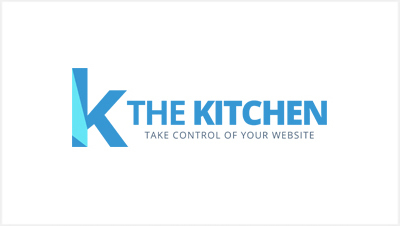 Websolutions created a responsive website using our CMS "The Kitchen". 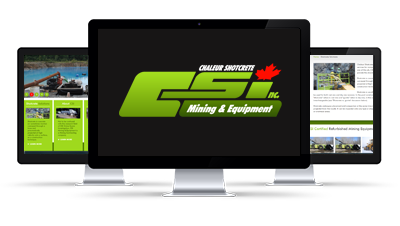 The CSI Mining & Equipment website is primarily focused on selling refurbished mining equipment. Each piece of machinery is very expensive, therefore it is very important that CSI has a strong website to help sell these pieces. Apart from the refurbished equipment angle, the CSI website also includes numerous photos of the many mining services they offer. 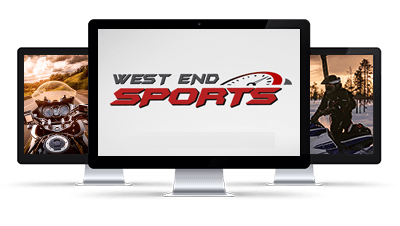 West End Sports was a fun website to make. 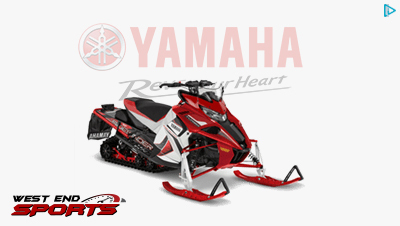 They have many awesome products from Yamaha, we only wish we could have all of them. With "The Kitchen" in place, the staff at West End can keep their products up to date online and reach more clients. 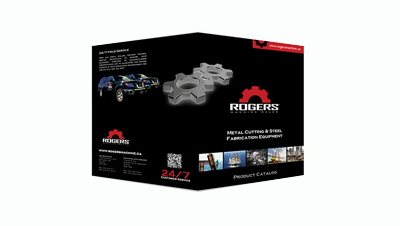 Websolutions.ca has developed many solutions for Rogers Machine. 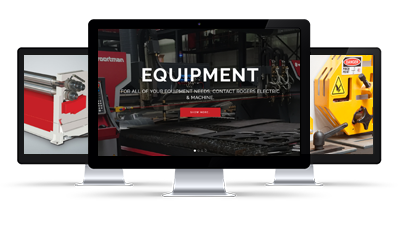 Most notably, we have designed and created their website which hosts their industry-leading Equipment Service & Inspection System. The website has become a corner-stone in their marketing efforts but more importantly, their management system has become the backbone of their client relations. This exclusive technology has advanced their company to a level of excellence that is untouched by their competitors. Established in 1995, Mr. Trash is Bathurst and its surrounding area's leading provider for large roll off containers. This is a great example of a starter website. 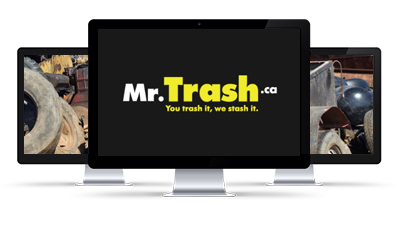 Mr. Trash is a great company but until recently, they had zero online presence. The goal of this site was simple. 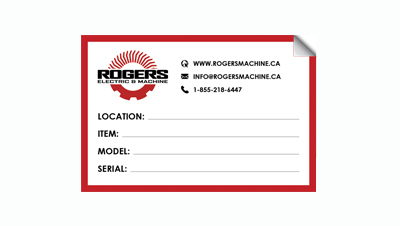 Create an informative website with very clear/easy to find contact information. 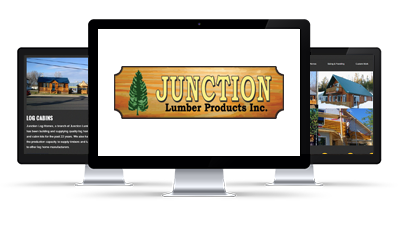 Junction Lumber's old website was unresponsive and didn't show the products or uses of their products well. Websolutions took the time to listen to the clients needs and created a brand new website, along with a custom CMS to manage all the data. 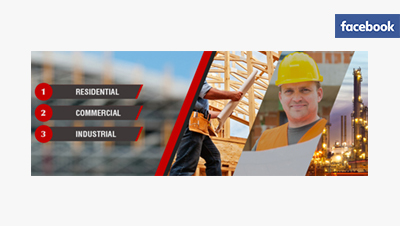 This new website will help Junction Lumber reach new markets with a minimal investment. The Port of Belledune has been one of our greatest clients. 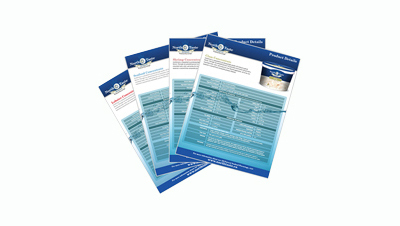 Having developed 4 complete re-designs of their site, we have become very familiar with long and short-sea shipping! The website is very comprehensive, containing multiple micro-sites for marketing specific port-related services. 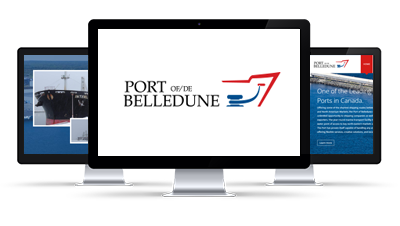 The Port of Belledune's new website design is clean, professional and very user-friendly. 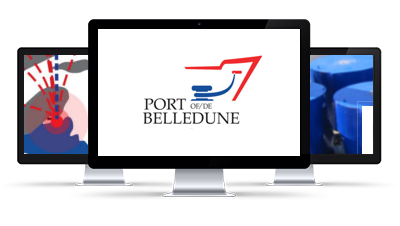 The Port of Belledune website was recognized by the The American Association of Port Authorities (AAPA) in 2015 as the best port website in all of Canada, United States, Latin America and the Caribean. We are definately proud of this one! 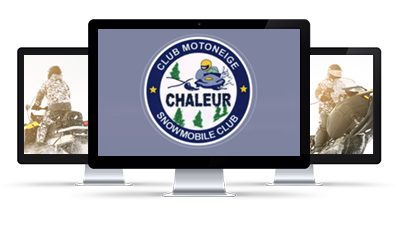 The Chaleur Snowmobile Club Inc. is a club of bilingual volunteers with a total of 415 registered members for the 2016/2017 season. 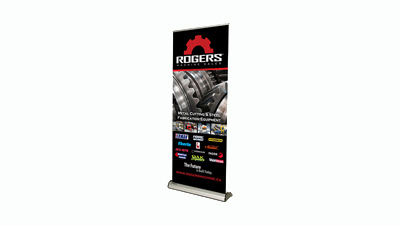 Sometimes you need to have some print material, either for a tradeshow or to leave with a potential client. 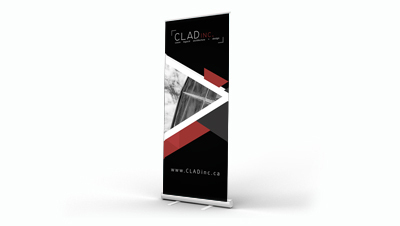 CLAD INC. is a new company and required a pop-up banner to bring along to tradeshows. 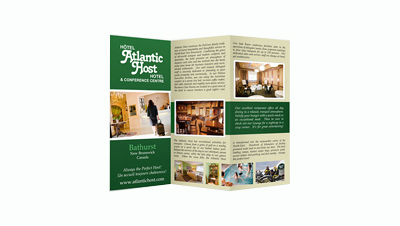 Although it's not our primary focus, we are able to create catchy, visually appealing marketing solutions for our clients. 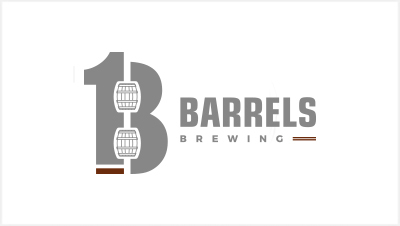 We are proud to have designed the logo you'll see when visiting their new website. 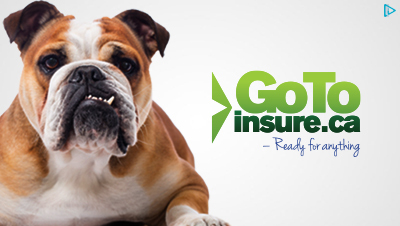 GoToInsure required a new website, along with a custom CMS to manage all 19 locations. 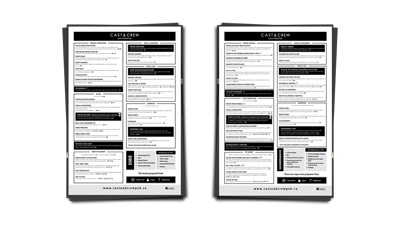 We designed the CMS using "The Kitchen" allowing management to keep all of the locations up to date. The website is completely bilingual and responsive. A great addition to our portfolio! 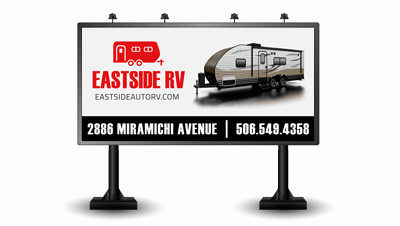 As a local dealer of RV's for over 20 years EastSide RV required a presence on the internet to help sell their trailers. 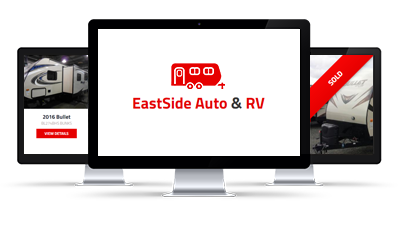 Websolutions created a custom management systems allowing the sales manager to list the trailers in stock, along with all of the attributes associated to a trailer. They have since increased sales. 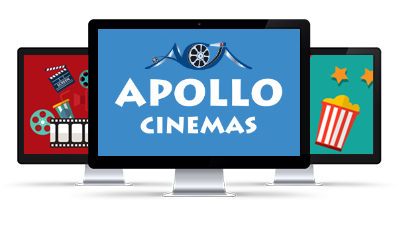 The Apollo Cinemas website is one of Bathurst's most visited websites so we had to come up with something designed to please it's many visitors. We started by creating a fully responsive interface (it looks great on all screens from computers to iPhones). For the website to look the way we envisioned it, we slightly tweeked their logo and added a vibrant colored background to add the visual POP! that a movie theatre website should have. There's also a fairly complicated content management system behind this beauty website. With new movies and upcoming movies being added each week, along with movies expiring, we had to come up with something that is easy for our client to use. The end result is what we consider a perfect movie theatre website. Check it out for yourself. 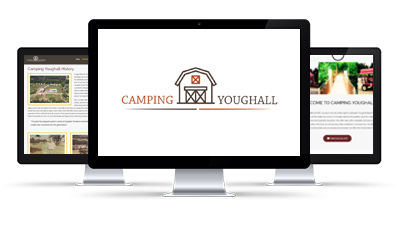 Camping Youghall was recently reopened in the summer of 2015, and orignally opened in 1962. The campground has been a fixture in the Bathurst area for camping and family activities. 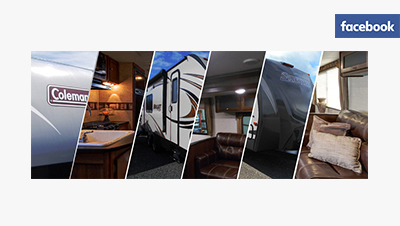 Websolutions created a clean professional responsive website showcasing the history of the property and also providing all of the information a potential camper would require. 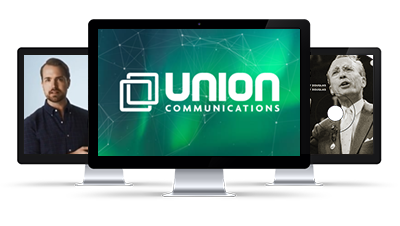 Founded in 1982, Union Communications provides communications services exclusively to trade unions. 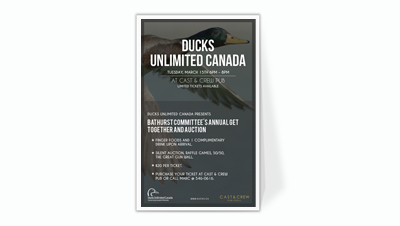 We are a nationally accredited media-buying agency and have placed advertising for many of Canada’s largest unions. From conception to completion, our services include advertising campaigns, print and electronic publications, websites and mobile apps, video, television and radio. Through the years we have made our mark in the labour movement with impactful campaigns and quick turnaround. 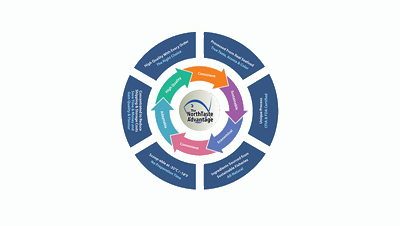 As a provider of social media campgaigns and online strategy. 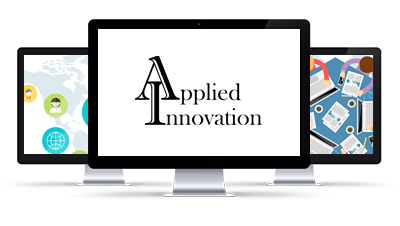 Applied Innovation required a slick easy to use website which was simple but also displayed information on the services they provide. Using illustrations to depict their services, we gave life to this website. The Village of Belledune website was our first crack at making a website for a municipality. The current Village website is the second full website that we have created for Belledune and even though it's a few years old, it's still a very nice website that continues to do the job. 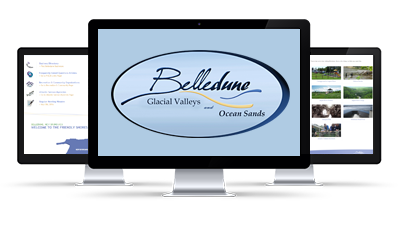 With sub-sections focused on residents, business, visitors, government, economic development and environment, the Village of Belledune website is a great resource for anyone interested in all things Belledune. 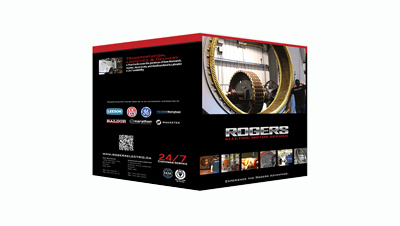 Websolutions.ca has developed many solutions for Rogers Electric Motor Service. 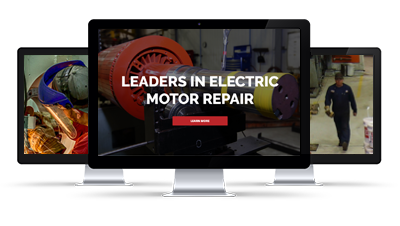 Most notably, we have designed and created their website which hosts their industry-leading Motor Management System. 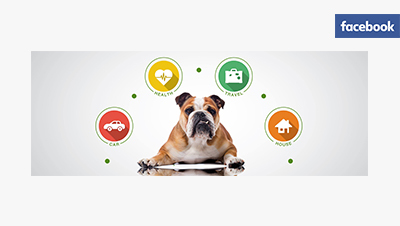 The website has become a corner-stone in their marketing efforts but more importantly, their Motor Management System has become the backbone of their internal management. This exclusive technology has advanced their company to a level of excellence that is untouched by their competitors. 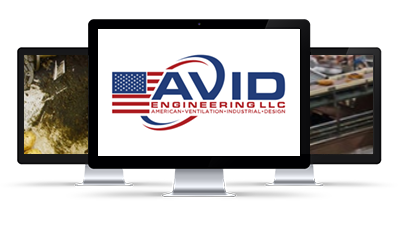 AVID is a mechanical engineering consulting firm that serves clients worldwide from our office in Broomfield, Colorado. AVID is highly specialized in the field of industrial ventilation and have an in depth expertise in ventilation for food processing plants. 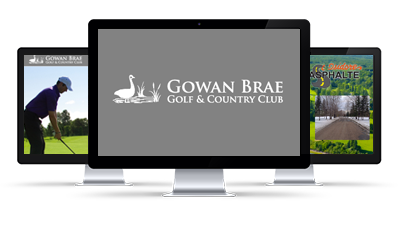 Continuously improving, the Gowan Brae Golf & Country Club website has become one of Websolutions.ca's largest websites. 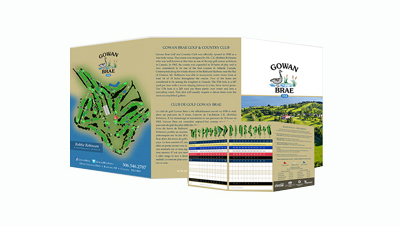 A one stop shop for its members, it contains everything you would need on a golf course website. 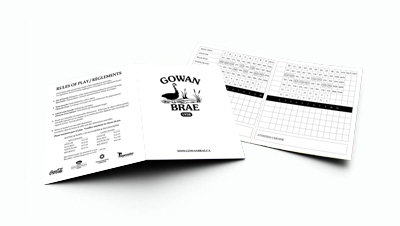 Websolutions.ca also sponsors and supports many events at the Gowan Brae as we are very proud members, ourselves. Since 1997, we have created 4 complete websites for the course. 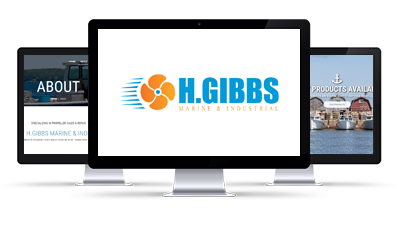 H. Gibbs Marine & Industrial required a new website, the previous website was created over 12 years ago. As a leader in the marine industry their website had to be a reflection of the quality service and products offered. 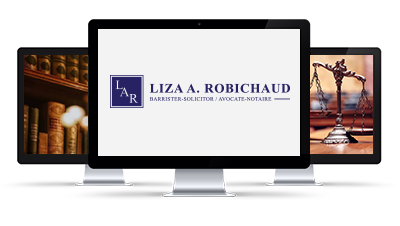 We took the time to get to know our new client from Bouctouche, New Brunswick and then created them an awesome new website. Check it out! 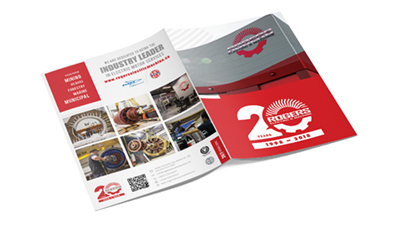 Tire 101 & Trailer Sales has been in business for quite some time, over 25 years actually. Under new ownership the management team wanted to be able to list the trailers they had for sale and showcase the services offered by the tire shop. A new responsive website was the answer. With a custom built trailer management module. 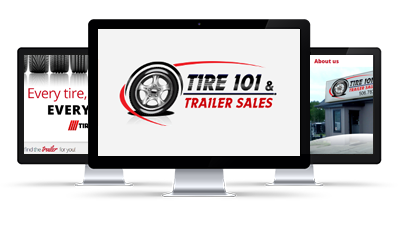 Websolutions.ca is proud of the work done to create a new website for Tire 101, we are sure they will be seeing more customers from outside the region. 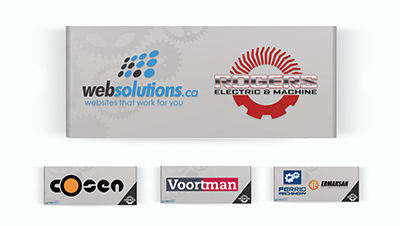 One of Eastern Canada's oldest companies, Eddy Group has been a client of Websolutions from day one of our existence. Having created multiple complete websites for the company, the latest version focuses very heavily on their elaborate product line, all managed by our content management system. 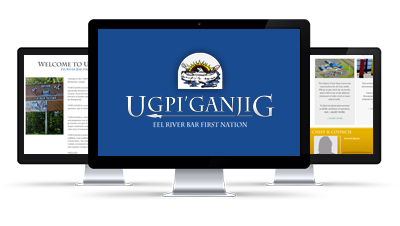 The Ugpi'ganjig: Eel River Bar First Nation website is very similar to most city/municipality websites. 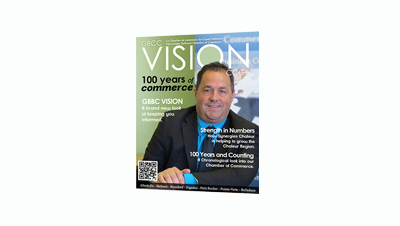 It includes sections on their local government, sections for their residents, visitors and business alike. It also features sections dedicated to all of their internal departments. The site is fully integrated with our content management system, making it easy for them to keep it up-to-date. 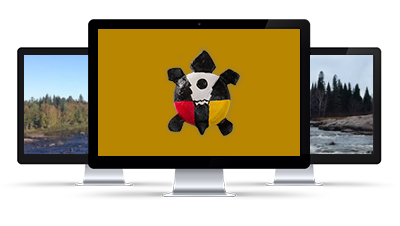 This first nations website is among the best first nations sites in the country! 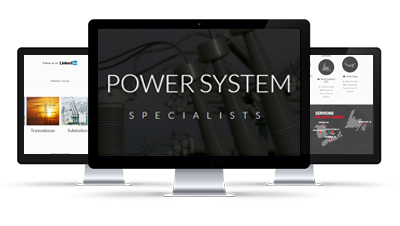 Power Precision is a leader in the manufacturing of electrical power distribution equipment for various industrial sectors. Websolutions created a Project management system to streamline internal processes and provide information in real-time to their clients. 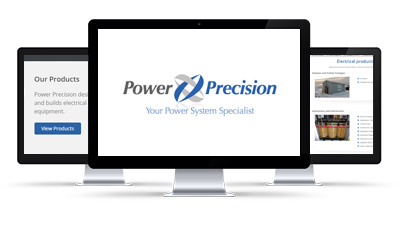 The website is a responsive design showing all of the services and related projects Power Precision offers. 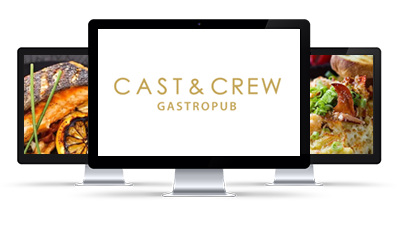 As a completely renovated restaurant in the Bathurst area, the management of Cast & Crew Pub wanted to showcase their new decor and renovations with an awesome website that had a lot of pictures. The website is completely bilingual, and is a responsive website. 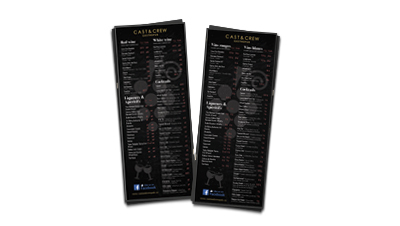 Featuring pages listing the menu's, specials, careers and contact information. 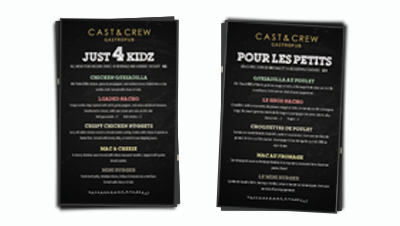 We are especially proud of how the menu turned out with a white font on black background. One of our longest standing clients, Remsoft is a forestry-focused software company based out of Fredericton, New Brunswick. To date, we have created 3 versions of their website dating back to 2004. 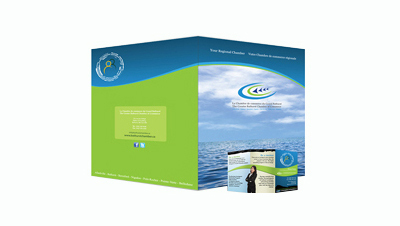 The website is very clean and simple in design, something that was very important to the Remsoft management team. 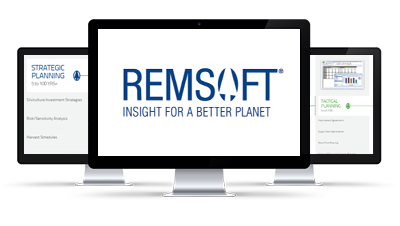 The Remsoft website contains many special features such as Webinars, Software Updates, Downloads and more. 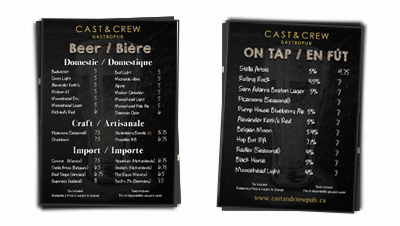 It’s also trilingual (English, French and Mandarin), something that our content management system can handle seamlessly. We love to support local organizations, especially those that are focused on the development of our youth. 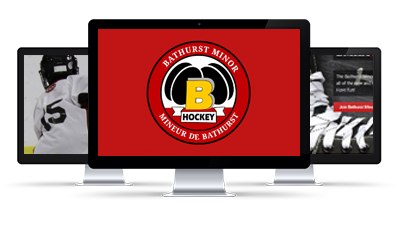 Bathurst Minor Hockey required a means to effectively communicate with parents and organizers of hockey games and practices. We created an easy to use management system, along with a beautiful front-end to display all the content. All the best to players and coaches this season. 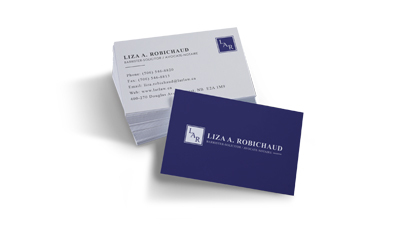 Designed for Liza A. Robichaud (Liza Anne), it immediately presents itself as a clean, professional and bilingual element wherever it may be...including on her upcoming website! 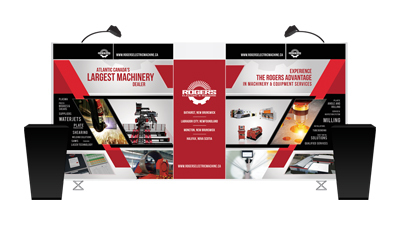 Rogers Electric & Machine consists of two different companies. 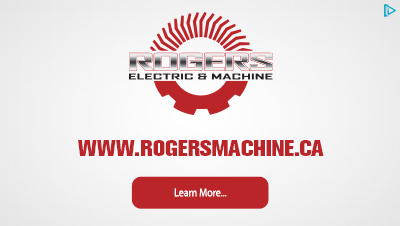 So we created a simple landing page to link visitors to either Rogers Electric or Rogers Machine. Pitch 48 is a business plan competition for new entrepreneurs. Participants learn about creating a business plan and present ideas to local business owners. 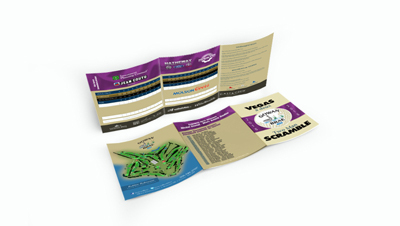 The website for Pitch 48 is simple in design but provides all of the required information for the yearly event. 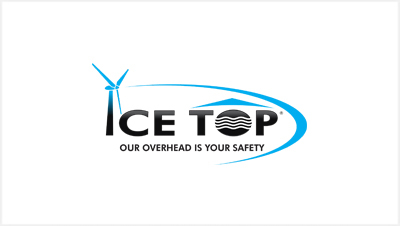 CT Sales Ltd. is a manufacturers’ representative, specializing in electrical power system products for generation, transmission and distribution. The CT Sales website uses the popular long-page format, meaning the entire website is literally one page with lots of scrolling. Even as a one-page website, you can access loads of information and get a great impression of the company. 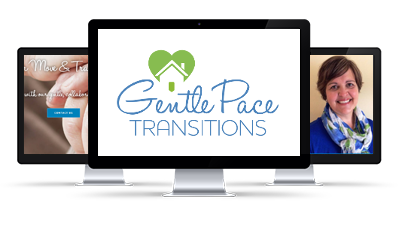 Gentle Pace Transitions is a new company in Fredericton, they help in the transition from your home to a care home. They can also help you stay in your current home. GPT is a great client, providing much needed services to our aging population. Check out their website for more information. 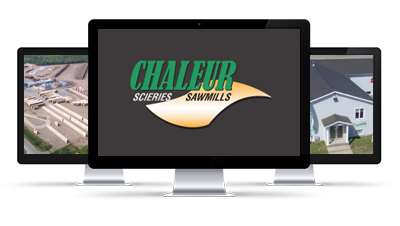 Chaleur Sawmills is a large lumber mill located in Belledune NB. 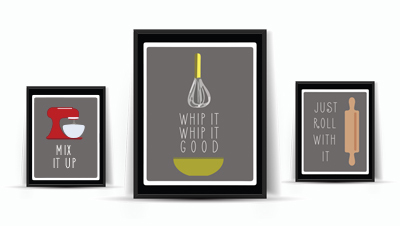 They required a new responsive website with "The Kitchen" to keep content current. We worked with management to create the design and functionality of the site. 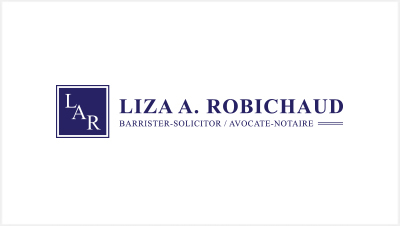 Copyright © 2019 WEBSOLUTIONS.CA. ALL RIGHTS RESERVED.